Having a cool action camera to record all your crazy stunts is great but it can turn into a not-so-fun activity if you don’t care for protecting your gear accordingly. Sure, action cameras are built to be sturdy, but hey are not indestructible. Companies like Incase work around the clock to provide the best protection products for your gear, which is why we are going to show you a backpack geared towards GoPro users. 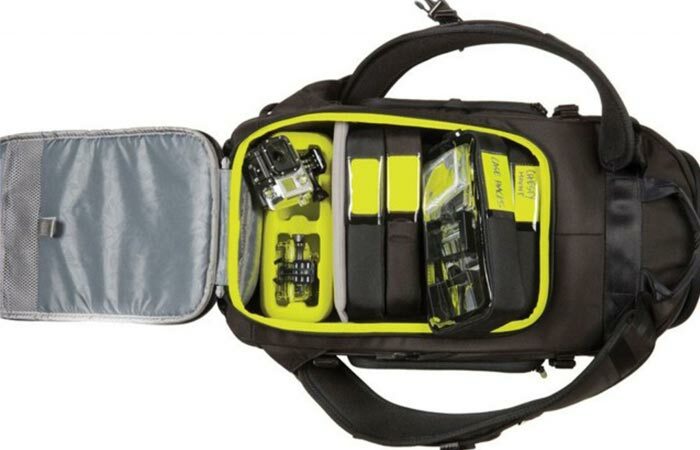 The Incase CL58084 Action Camera Pro Pack is one of the most useful and durable backpacks you can get right now. Because it’s made from 1680D ballistic nylon and 600D poly non-PVC, there will be no chance of tearing this backpack up and losing the gear you carry around in it. In order to battle extreme weather conditions, you will receive a brightly colored rain fly to raise Pro Pack’s protective qualities. The rain fly is located in the bottom compartment and is attached to its so it is impossible to lose it. 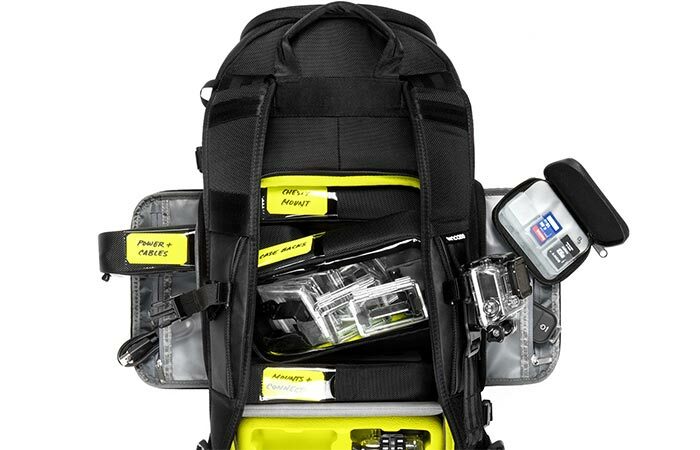 Other additional equipment include a Tensaerlite protective canister, which is capable of storing two GoPro cameras and an accessory organizer. Additional cases and canister will have to be purchased separately. As for the Pro Pack itself, it has much more to offer. It has a ton of storage space, beginning with the quick-access top compartment with a zipper pocket. 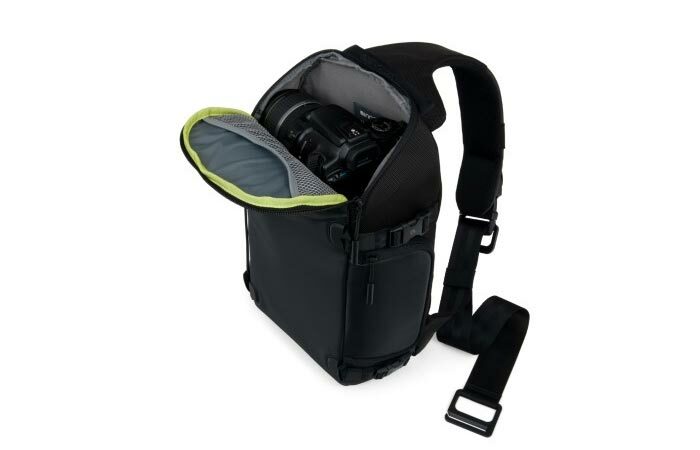 This compartment can hold a medium sized DSLR and a lens, while the zipper pocket can be used for smaller items. The left side pocket of the backpack offers enough space for additional cables or your personal items. As for the right side pocket, this one offers very little storage space with its pocket because it’s mainly used to gain quick access to the main compartment. The main compartment has a lot of space. It can fit two protective canister and two accessory organizers and still have some space left. It is also equipped with a tablet pocket padded with faux fur for extra protection and a neatly designed compartment for your numerous SD cards. However, this is not the end of what the Pro Pack is capable of. Its design incorporates additional straps which you can use to carry around the tripods for you cameras. And best of all, the left strap of the backpack has an integrated GoPro mount so it can save you the trouble of carrying an additional strap mount. With all that the CL58084 Action Camera Pro Pack has, we can’t help but say that very few backpack of similar size can offer this much storage space and this level of protection. 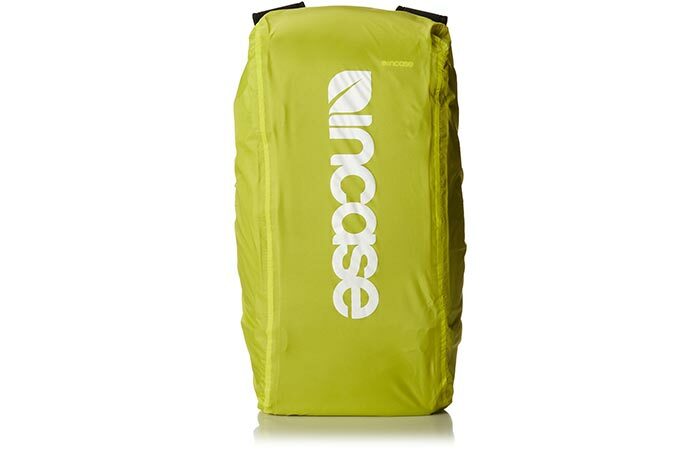 Check out a detailed review of Incase Pro Pack’s capabilities.